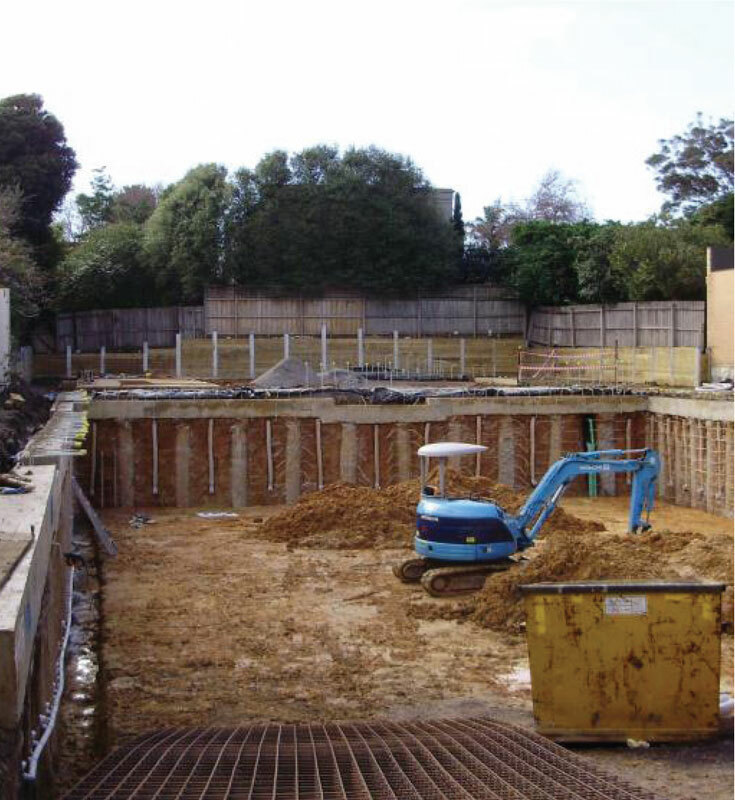 UDL constructed a timber retaining wall to a residential house in Brighton. The wall took 2 weeks to construct. Materials used were 150 UC galvanised steel uprights and 200×100 F7 timbers. Due to the depths of the upright holes will need to bring a 12t excavator to drill. The job started in July so we were dealing with wet weather constantly and having to work around an existing swimming pool but managed to construct on time.